CLUSE has inspired me to have a look at myself and to look what have I accomplished in last 5 years. And it is just at the right time. Why? read below…. Let me do it first! Now it’s your turn! Think about it and make a list, I am pretty sure you do have a lot to put on it - let me give you a hint - small victories are still victories. Well since we are celebrating CLUSE 5 years anniversary let me give you some more of their taste and mine. You all know now I relocated to Bali and I have to say I have no complaints. Currently in Europe (where I come from) it’s autumn season. 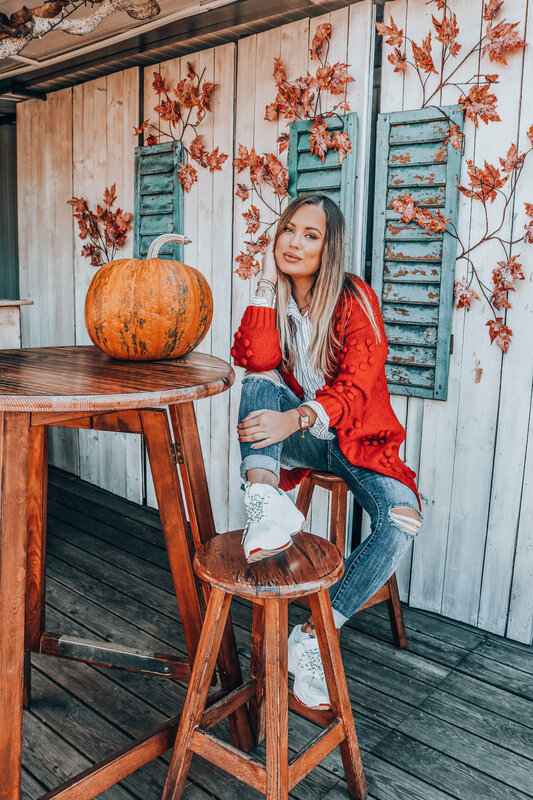 For me thats is the best season of the year - fashion wise. I love adding layers of shirts and sweaters and getting all cosy in it. The weather is still warm enough so we don’t need jackets yet but cold enough to add different accessories.. Well not in Bali. Here my fashion will stay summery. Since I can’t have it all I am making the most out of it to not get bored of the summer wardrobe. It’s also very humid so having a great hair day won’t happen here! If you are lucky enough, you might get good 30 min or just until your first motorbike ride. After that we all look like we didn’t wash our hair for a week or two. Pretty cool ha? So my brush is always with me, to at least try to look more presentable. 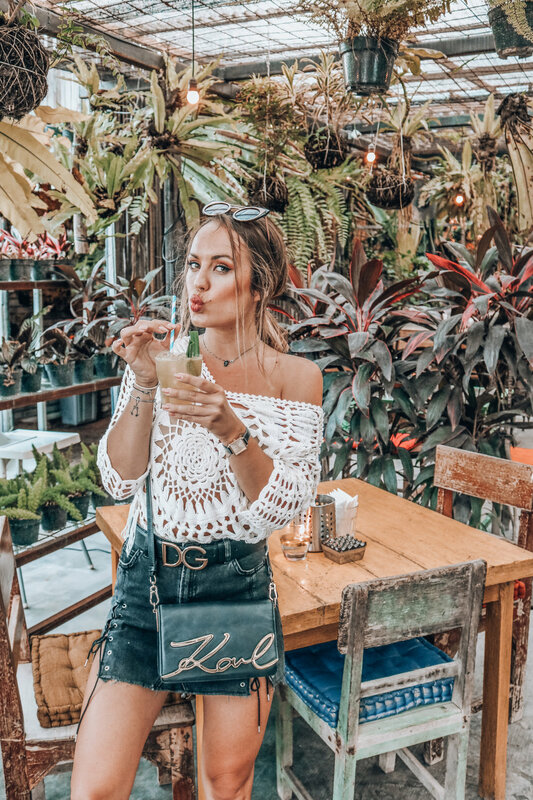 When it comes to fashion and clothes there is a lot of options, you can find all the brands you can imagine, yup- right here in Bali. But to be fair all you need is shorts, t-shirt and swimsuits. The lighter the clothes , the happier you will feel. It can get super hot, especially when riding a bike. The bad thing is, you can get burned easily as the sun is stronger than in Europe. I would even recommend to bring the sunscreen with you, as they are ridiculously expensive here. Ok enough of writing, let check out the pictures ! Like the caption says itself, I will show you how I like to wear my CLUSE La Garconne watch. I like this model so much, I own the same one in three colours. 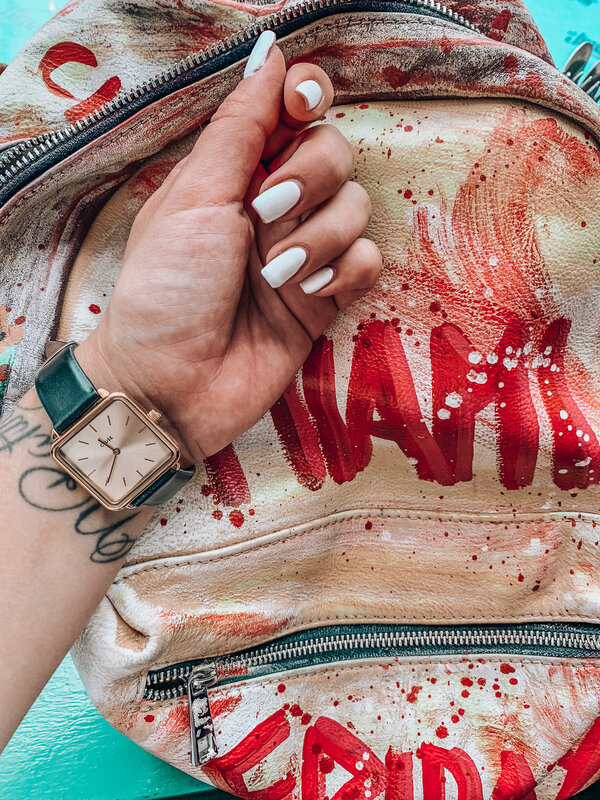 Typical me… New La Carconne Butterscotch watch by CLUSE is an autumn collection but I wear it with my summerish outfits, it goes perfectly with a white colour, especially with white nails. CLUSE made me wore watches all over again. Before that I was using my phone only to check out the time. Now I am back to basics, because it is so trendy and just wearable. I hope you like it too.